Because of the Fall of Adam and Eve, everyone will experience physical death. When we die, our spirits and our bodies are separated. When Jesus Christ was resurrected, His body and His spirit were reunited, never to be separated again. Because of the Atonement of Jesus Christ, everyone will be resurrected (see 1 Corinthians 15:22; Alma 11:42–45). An understanding and testimony of the Resurrection give us joy and hope (see Isaiah 25:8; Alma 22:14). When Jesus died, His friends were very sad (have the children make sad faces). 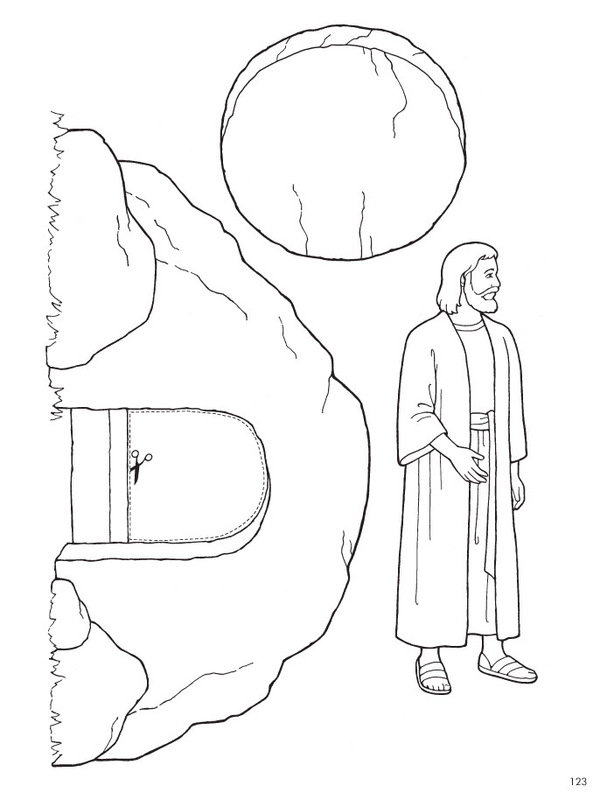 They put Jesus’s body in a tomb, which is like a cave (point to the tomb in the picture). A big stone was rolled in front of the door (have the children pretend to roll a big, heavy stone). After three days (have the children hold up three fingers), two angels rolled the stone away. Jesus had come back to life! (Point to Jesus in the picture.) He was resurrected (help the children say “resurrected”). Jesus’s friends were very happy! He was alive, and He would never die again! Mary was one of Jesus’s friends (point to Mary in the picture). She was sad when He died. 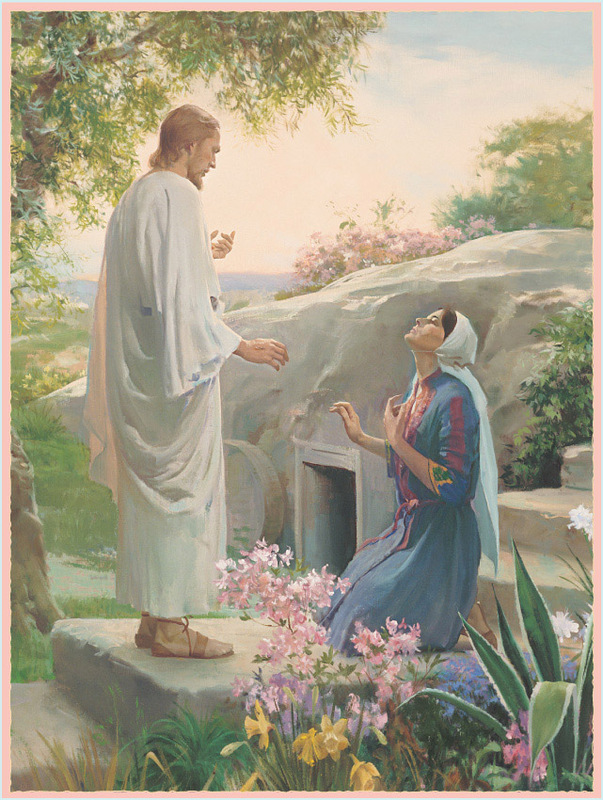 When Jesus was resurrected, Mary was the first person who saw Him. She was very happy because Jesus was alive (have the children make happy faces). Tell the children that because of Jesus, everyone will be resurrected and live forever. Have the children make happy faces again. Sing or say the first verse of “Did Jesus Really Live Again?” (Children’s Songbook, 64) and do the actions below. Invite the children to join you. Invite the children to say, “Jesus Christ was resurrected,” one or two words at a time. Briefly share with the children your testimony that Jesus Christ was resurrected. Jesus Christ: Many cultures have Easter traditions that are fun for children but have little to do with the Resurrection of Jesus Christ. Center this Easter lesson on the Savior, and help the children grow in their love for Him. Teach them to rejoice in the wonderful gifts He has given us, such as the Resurrection and His teachings and perfect example. Songs: Some of the children may not sing with you. Even if they only do the actions or simply watch and listen to you, they can still enjoy the songs and learn from them. For the story: Copy the illustrations on page 123. Color them and mount them on heavier paper, if desired. Cut out each figure and cut out the opening in the tomb door along the dotted line. For the coloring activity: Make a copy of page 123 for each child. Cut out each figure and cut out the opening in the tomb door. Repeat as often as the children would like. Give the children the illustrations you have cut out for them. 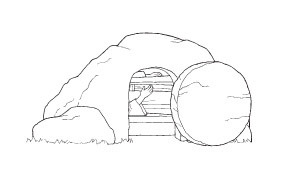 Show them how they can use the illustrations to review the story of Jesus’s Resurrection. This activity is especially appropriate for older children. Optional activities are provided for you to add to the lesson if desired. If the supplies needed are not available to you, you may substitute something similar. Stories: “Young children enjoy having stories repeated. If you are repeating a story, start it and then ask, ‘What happened next?’ ” (Teaching, No Greater Call, 181–82). Invite one of the older children to use the cutouts or the picture on page 122 to tell the story of the Resurrection to the younger children in the nursery class. Offer to help if necessary. Activity box: Consider making an activity box to keep in the nursery. It can contain this coloring activity and other items you make or use for activities. Then you can repeat those activities during future nursery classes to review previous lessons. This review can happen at any time during the nursery class.